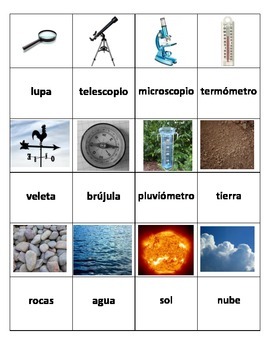 Students will develop academic vocabulary in Spanish as they play the memory game or the matching game with this set of cards. 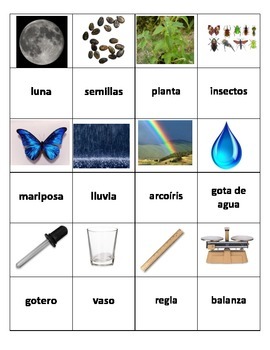 The goal is for students to match each picture with the corresponding word in Spanish. All words relate to the second grade science unit "Being a Scientist." Make copies on card stock and laminate. The game can be played with two, three or four players.